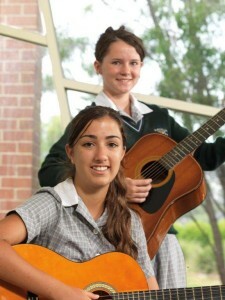 At this stage of their development, students are seeking more independence and choice. We recognise this and support our students so that they become independent learners who can use their initiative, explore, take responsibility and engage with their communities. At Year 9, we focus on connecting with the community and provide a challenging curriculum as well as opportunities to develop as mature young adults. Year 9 students work in teams with staff and their peers and we ensure they are equipped for senior school and ready to continue their learning into adulthood. The recently revamped Mordialloc Experience (MEX) program enables students to undertake enquiry learning projects, community placement work experience, and a variety of incursions and excursions. Personal support is continued through two significant teachers dedicated to Science and Maths, and English and Humanities, which enables staff to focus on the individual learning needs of each student. A broad range of electives complements the core curriculum allowing students to pursue their interests and develop their individual talents. Year 9 SEAL places particular emphasis on planning for VCE subject selection and pathways to University. An emphasis on student leadership and community service is developed through Middle School Captains who contribute to the organisation of activities and programs. The Student Representative Council and the Outdoor Education/Community Service Advance program for Years 9 and 10, provide additional avenues for personal development. More information regarding the program is available In the Year 9 Handbook. Booklists and SEAL Booklists are also prepared and available for each year level.